Want to convert iTunes song to MP3 but don’t know how? 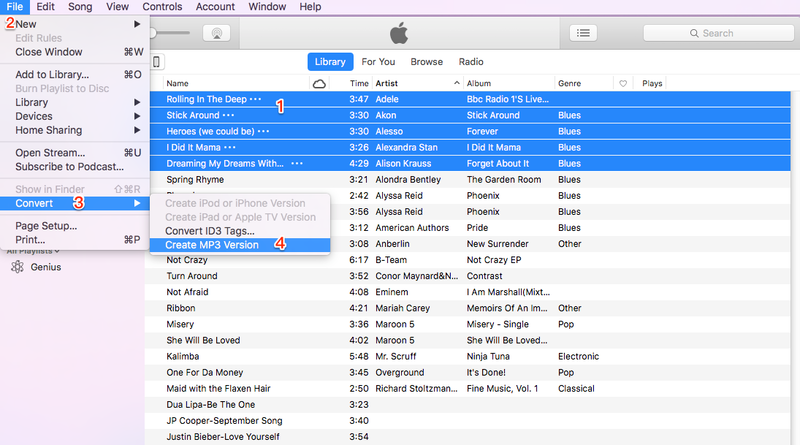 Read on this guide to learn how to convert iTunes songs to MP3 in just 1 click. 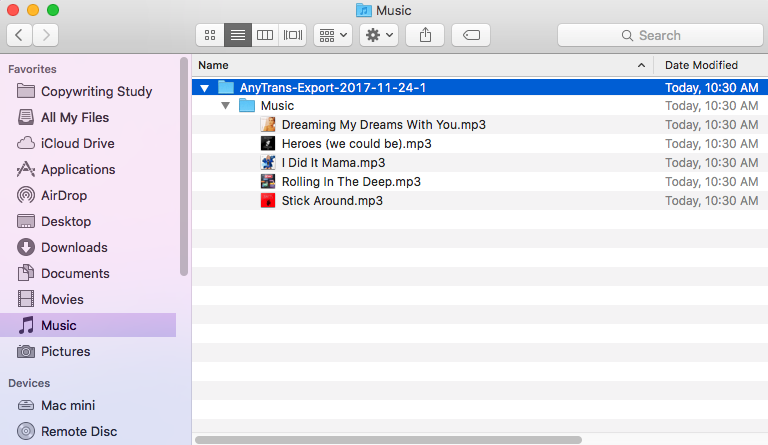 AnyTrans can not only help you easily convert iTunes music to MP3, but also enable you to transfer music as well as other up to 31 file types from iPhone to iPhone/computer/iTunes, and vice versa. Have a try now. The default file type for songs purchased from iTunes Store is AAC format, which is incompatible with the most commonly used MP3 media players. 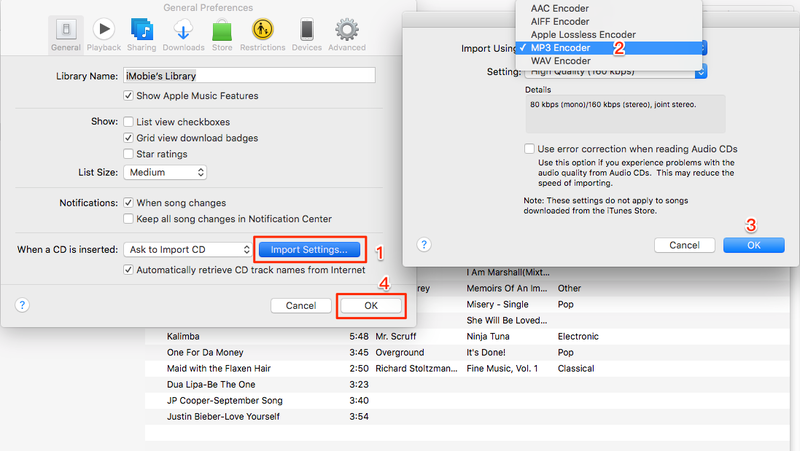 To enjoy iTunes music on an MP3 player or other device that does not support AAC format, you have to convert iTunes songs to MP3 format prior. Otherwise, you will have no access to those iTunes music on your MP3 media player. Since it is a hard work to convert iTunes music to MP3 via iTunes, here in this guide, we will not only show you the traditional complicated iTunes way, but also another labor-saving yet time-saving way to help you complete the job in just 1 click. 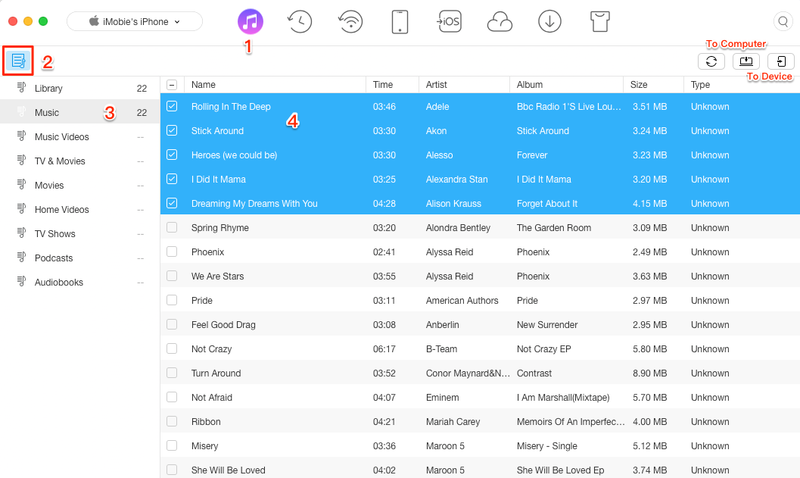 AnyTrans, the #1 iOS data manager and audio files converter, taking over the hard work and helping you convert iTunes music to MP3 format effortlessly. It has helped millions of iTunes users successfully complete the job in the past 3 years, and highly recommended by those users for audio files convert. Now, let’s check what it can do for you. Unlike iTunes, you needn’t perform complicated creating process. All you need to do is just select the iTunes music you like to convert, and then they will be converted to MP3 format automatically. It supports converting almost all audio files to MP3 format for smaller file size. 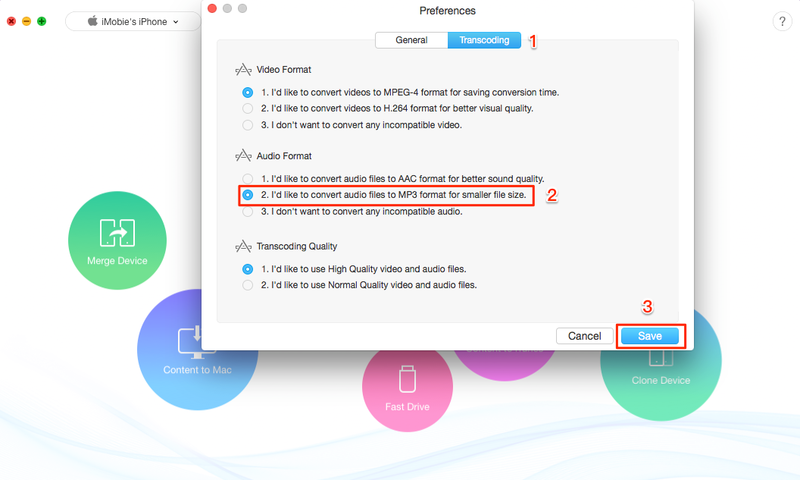 Also, it can help you convert audio files to AAC format for better sound quality. It helps you to manage your iOS files in a smart way, such as manage iTunes Library, manage iTunes and iCloud backups, transfer data from iPhone/iPad/iPod/Android to iPhone/Mac/PC/iTunes, etc. Step 1. Download AnyTrans on your Mac/PC and install it > Open it > Connect your device to the computer via USB cable > Set the format. Mac user: Click AnyTrans on the top left corner of your computer screen > Preferences > Transcoding > Choose the second option under Audio Format > Save. Windows user: Click Settings on the left of Minimize button of AnyTrans > Transfer Settings > Transcoding > Choose the second option under Audio Format > Save. Step 2. Choose Manage iTunes Library mode > Click Playlist > Music > Preview and select the iTunes music you want to convert > Click on To Computer or To Device button to convert them now. After it completes, you can check the converted iTunes songs on your computer or device. Step 1. Open iTunes on your computer. Mac: Choose iTunes at the top of your computer screen > Preferences > Import Settings > MP3 Encoder > OK.
Windows: Choose Edit at the top of the iTunes window > Preferences > Edit > Import Settings > MP3 Encoder > OK. Step 2. Select the songs you want to convert > Click on File > Convert > Create MP3 Version. Wait for a while, the selected songs will be converted to MP3 format and save in one folder on your computer. With above 2 methods, you may have successfully converted iTunes music to MP3 format. And as you can see, AnyTrans makes it quite easy to convert iTunes songs to MP3. It is also a good helper to manage music as well as other types of data on your iTunes. Just give it a try now.